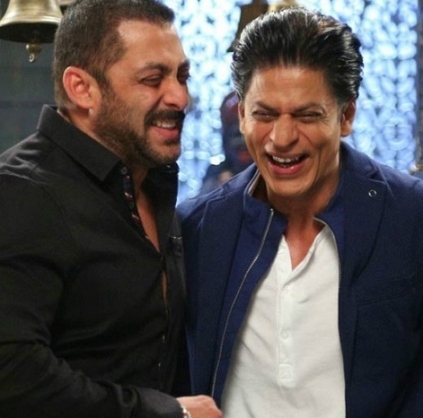 AROUND FORTY NINE CRORES SEPARATE SALMAN KHAN AND SHAH RUKH! While in an earlier news story we saw the ranking of our South Indian Celebs in 2016 Forbes India Celebrity list, in this write-up, we check out on who features first in the list and also the notable ones among them. As reported earlier, 2016 Forbes India Celebrity 100 rankings are based on two parameters- estimates of entertainment-related earnings of celebrities and estimates of their fame. The period under consideration for both was October 1, 2015, to September 30, 2016. Salman Khan occupies the 1st slot pushing Shah Rukh Khan to the second. While Salman’s annual income stands at Rs 270.33 crores, Shah Rukh comes close at the second spot with an annual income of Rs 221.75 crore. The other notable celebrities are cricketer Virat Kohli (Rs 134.44 crore), Akshay Kumar (Rs 203.33 crore) and Mahendra Singh Dhoni (Rs 122.88 crore) in 3rd, 4th and 5th places respectively. Deepika Padukone (Rs 69.75 crore), Sachin Tendulkar (Rs 58 crore), Priyanka Chopra (Rs 76 crore), Amitabh Bachchan (Rs 32.62 crore) and Hrithik Roshan (Rs 90.25 crore) occupy next five spots. Our very own AR Rahman comes at the 13th place with a reported earnings of 37.5 crores. ''I'm just lucky I got to play him'', Dulquer gets emotional! What happened to Shahjahan director? People looking for online information on Forbes India Top 100 celebrities of 2016, Salman Khan, Shah Rukh Khan will find this news story useful.